After a day of big reveals, including the iPhone 5, new iPod nano and iPod touch models, as well as the next version of iTunes, you'd think Apple would be content to lay back and watch the reviews roll in. Fortunately, Apple is hardly one to rest on their laurels, and instead of merely waiting until Sept. 19's official iOS 6 launch, it released a new update to iTunes today, as well as the final Golden Master (GM) version of the OS for developers. 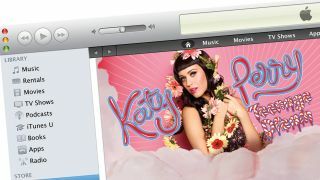 The iTunes 10.7 update will shore up compatibility with the new iPods, as well as prep the service to work with iOS 6. Coming in at a meager 165MB, the update doesn't add much else in the way of important upgrades though it signifies a new day at the Cupertino firm. Additionally, Apple released the final retail version of iOS 6 for developers. Though many devs have had their hands on the beta version of iOS 6 for a while now, the iOS 6 GM lets developers test their apps before the OS goes live next week. Xcode 4.5 GM was also released ahead of the final build, which should make it much easier for developers to create apps for iOS 6.
iOS 6 will work across a litany of Apple's devices, including the iPhone 4S, iPhone 4, new iPad, iPad 2 and fourth-gen iPod Touch, as well as all of today's officially announced products.